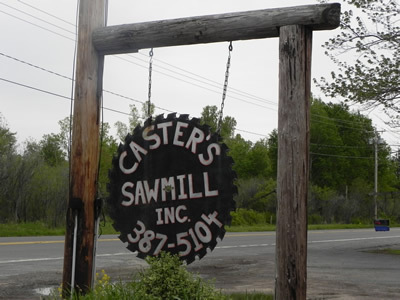 Directions to Caster's Sawmill Inc.
We are easily reached from Interstate 81. Interstate 81 South bound take Exit 38. At the end of the ramp turn left on US Route 11, heading south. We are approximately 1.5 miles on the right side of Route 11. Interstate 81 North bound take Exit 37. At the end of the ramp turn left. Go to the stop light and turn right on US Route 11, heading north. We are appoximately 1.5 miles on the left side of Route 11.